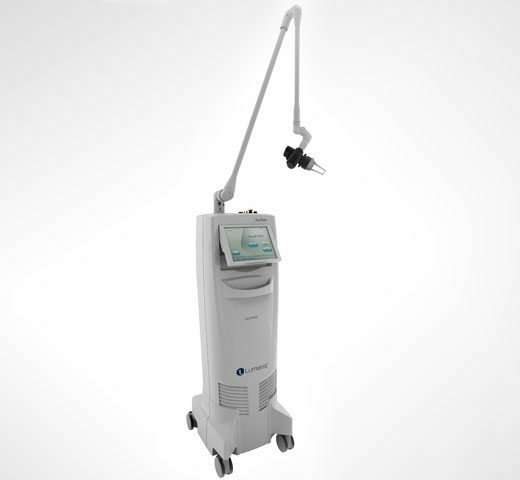 AcuPulse is an FDA-approved, fully ablative CO2 laser that we use for skin resurfacing. Brown spots and wrinkles of the face & neck are dramatically reduced while your natural collagen production is stimulated. Typically only one treatment session is needed. What are the side effects of AcuPulse? Any downtime? Side effects & downtime are moderate but will depend on the treatment settings, which are directly influenced by the desired results. Most patients experience redness, swelling & skin weeping/crusting in the treatment area, resolving over the course of approximately 5 to 7 days. The skin may remain red or pink for several months after treatment but is easily covered with tinted moisturizer or makeup. Some results from AcuPulse laser resurfacing are seen about one week after treatment. You’ll continue to see increased improvements in your results as your skin continues to heal and for up to 6 months after the procedure. With proper skin care and sun protection, most people enjoy noticeable results from laser resurfacing for several years. The exact amount of time is hard to predict and can also vary based on the overall health of your skin prior to treatment.